As a cluster of great bicycle fabrics came into the final stage of this week’s competition, one designer broke away and finished the week wearing the yellow jersey (or interlock knit, in our case). She is Ine Beerten (Zesti), a Dutch Belgian illustrator (so sorry, Ine!) whose work we’ve had reason to admire previously in the Project Selvage finals from last year, as well in our kite and carousel contests. Congratulations, Ine! 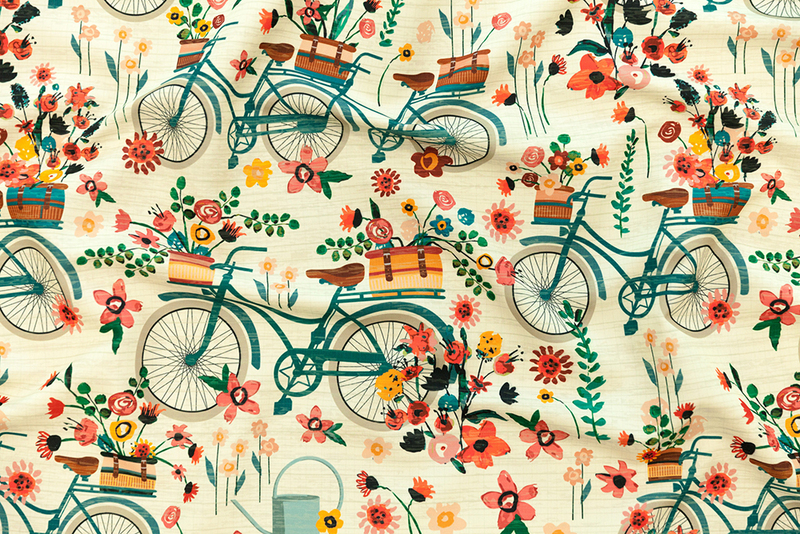 I Like Bike Fabrics – Vote for your favorites! Moving from the ocean to land (in a string of contest themes that is starting to look suspiciously like a fabric triathlon), this week's contest theme is bicycles. Father's Day is still a ways off, I know, but I can tell you right now that a tie made from an appropriately small bicycle print would be an outstanding present! 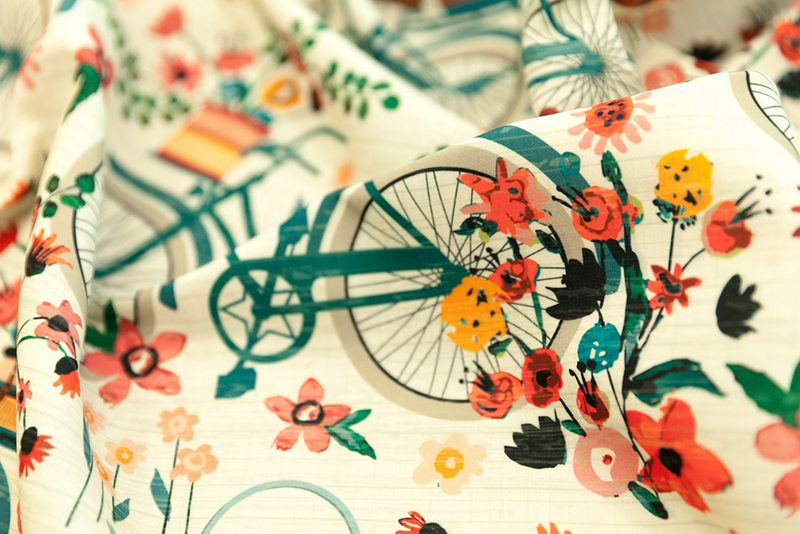 [Read more…] about I Like Bike Fabrics – Vote for your favorites!